How to pass the Fluid gui settings on to the murgaLua script? However, there are some things, like menu layouts, embedded images and others that aren't converted yet (and will just get stripped out), if you look at the examples directory you'll see how to get those back in (which in most cases is pretty easy). Let me know if this is not what you mean. 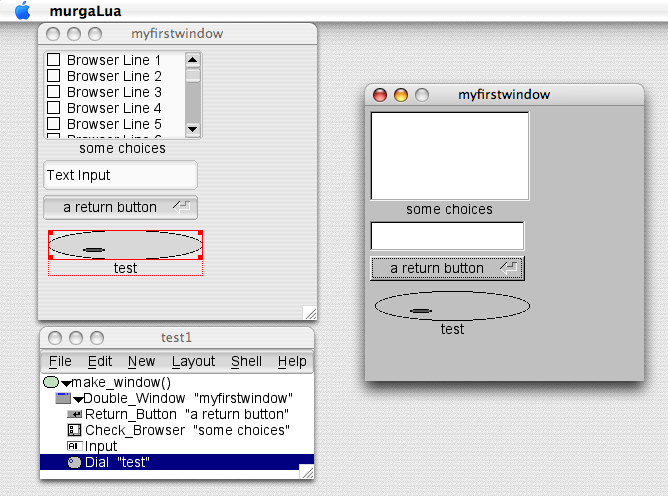 The GUI style that runs in MurgaLua doesn't match the one in Fluid. looks more like windows 95. Is there any way to have MurgaLua use the other GUI styles? s there any way to have MurgaLua use the other GUI styles?